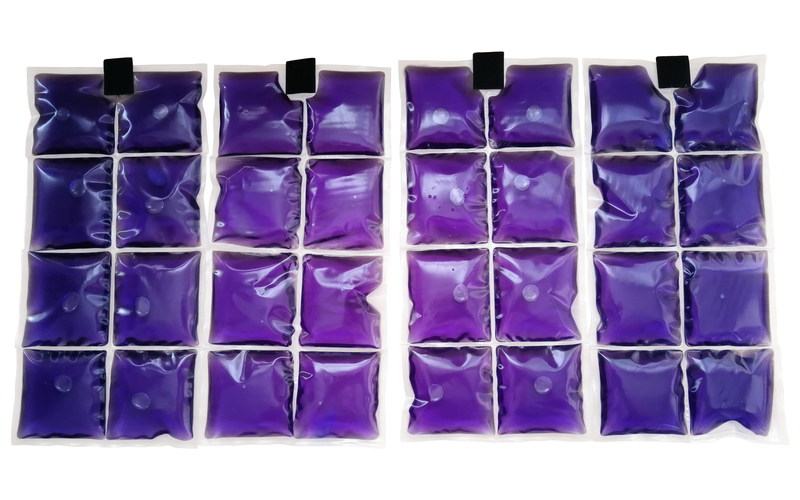 Additional set of Constant Temperature Cooling bio-based PCM cooling packs. Includes 4 PCM cooling inserts 15 celsius. Reactivation is easy. Switch to a new set of packs and reactivate the other packs by placing in a refrigerator, a freezer or ice water. As used in the Dexter or Gunner phase change cooling vest. This product was added to our catalog on 12/01/2016.